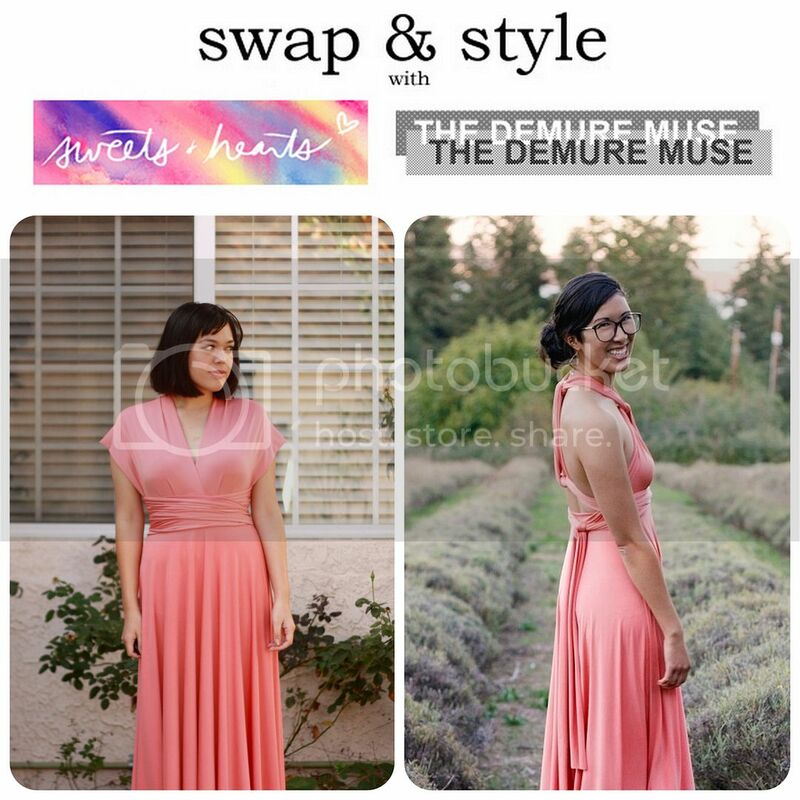 Katrina and I are back to swapping, and we're both very excited to present to you our first Swap & Style collaboration with Henkaa! We are both fans of convertible clothing and versatility, so partnering with Henkaa was a no-brainer. 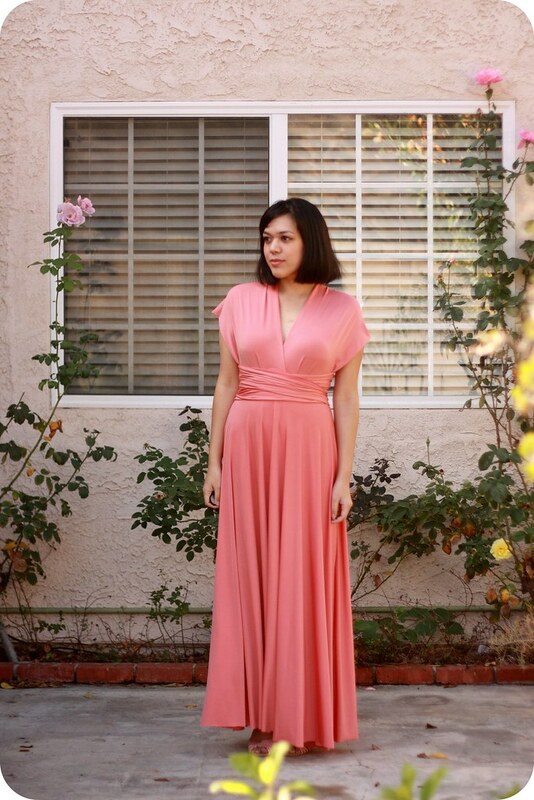 I chose the long Sakura dress in coral, a classic infinity dress with a full, draped maxi skirt. It's a dress that's made for everyone. Not only does it come in three different lengths and several different colors, but it's available in two sizes that fit women's 0-24 (there's even a mini version for little girls). Amazing right? The first thing I noticed when I took it out of the package was how luxurious and silky the knit fabric was--it drapes so beautifully and has a nice weight to it! I'm shorter than Katrina, so I did trim it a few inches. The fabric doesn't unravel, so you don't even need to sew/finish the edge when you trim it. Tip: cut very slowly and on a flat surface, and be sure to measure as you go to ensure a straight edge. Once you put it on, the possibilities are endless! 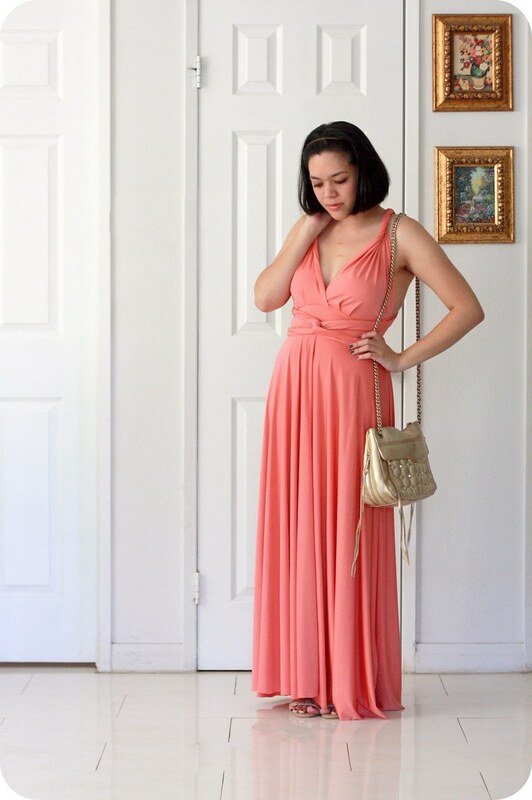 You can dress it up (it's very popular for bridesmaids and special occasions) or dress it down, make it daring or conservative, wear it strapless or with sleeves, and everything in-between. The secret is the wide straps--they can be twisted, tied, and manipulated just about every which way. 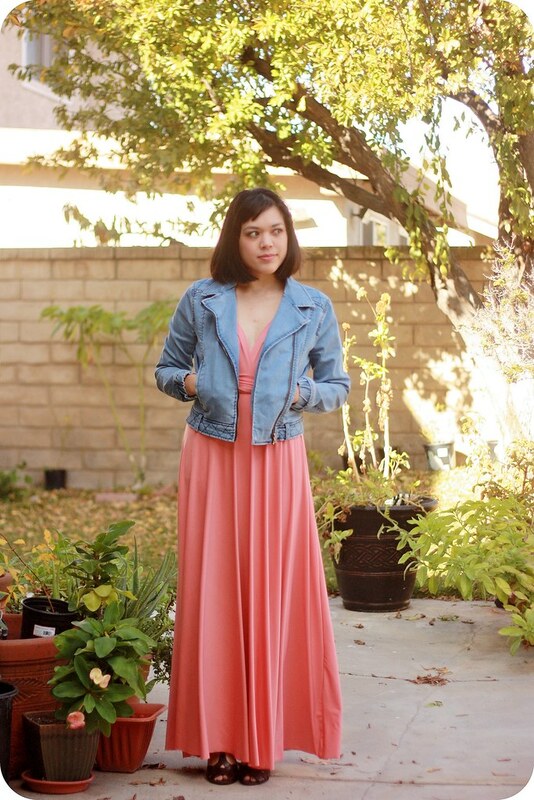 I didn't have any events coming up (I really wish I had known about it in time for my sister's wedding though), so I wanted to challenge myself with different ways to wear it casually for everyday. All it takes is some creativity, patience, and the right shoes! 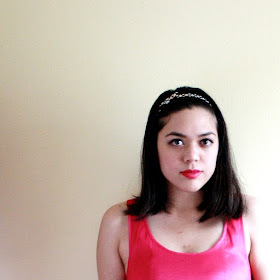 Here's a peek of how Katrina styled it (isn't she stunning?). She wore it with the prettiest up-do for a formal event. Don't forget to visit her blog to see the details! Henkaa is insanely clever for coming up with beautiful designs that are suitable for different sizes and body types, and can be worn an infinite amount of ways. The Sakura dress is a classic style that I know I'll be able to wear again and again. It's a fan favorite for a reason. Stay tuned for Part II of our Henkaa Swap & Style, which will feature another amazing convertible dress!